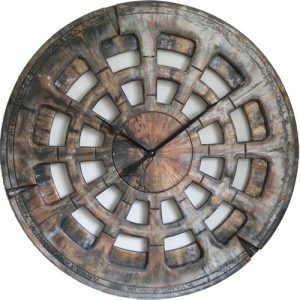 People that are looking for uniqueness and a strong “wow” factor don’t want to buy cheap home decor items. They often want to find an inspiration outside of the mass market. It is very easy for many of our competitors to say “We are selling Designer Wall Clocks” but are they? 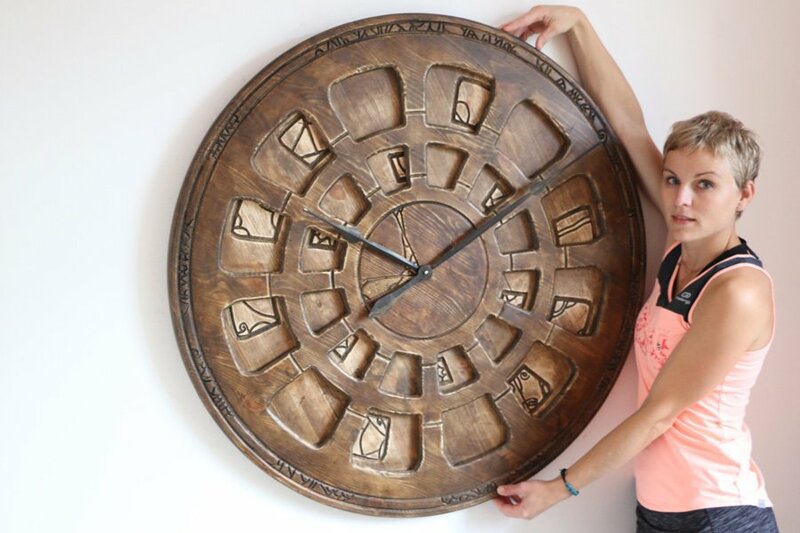 What is so special about a clock that is made of an old bicycle wheel or a vinyl record? Can you seriously call it a designer timepiece? Can you really pay £50 and expect something that will make you stand out from the crowd? 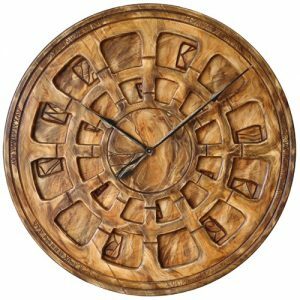 Those so called designer wall clocks wouldn’t be so cheap if they had much value. Big manufacturing are producing them in thousands or hundreds of thousands. Companies selling them are giving those items the wrong label. Aren’t we associating something that is called “designer item” with fashion and trendiness? At Peak Art it was never our objective to mass produce. Everyone else wants to reduce the cost to undercut all competition. We want to deliver value to the World by standing out from the crowd and making something that you won’t find in the shop window. When we say we want to show you designer wall clocks we really mean it. The large timepieces from us are all handmade and hand painted. It is difficult to copy Peak Art Clocks because we are always one step ahead. 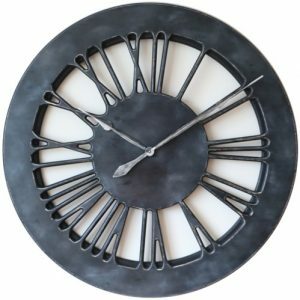 Yes you could try to copy the idea of large handmade wall clock but you will never know what is the next unique design that we plan. Let me introduce one of those beautiful timepieces that I called “Old Clipper”. You see no matter how hard I try to make another timepiece looking exactly the same I will fail. 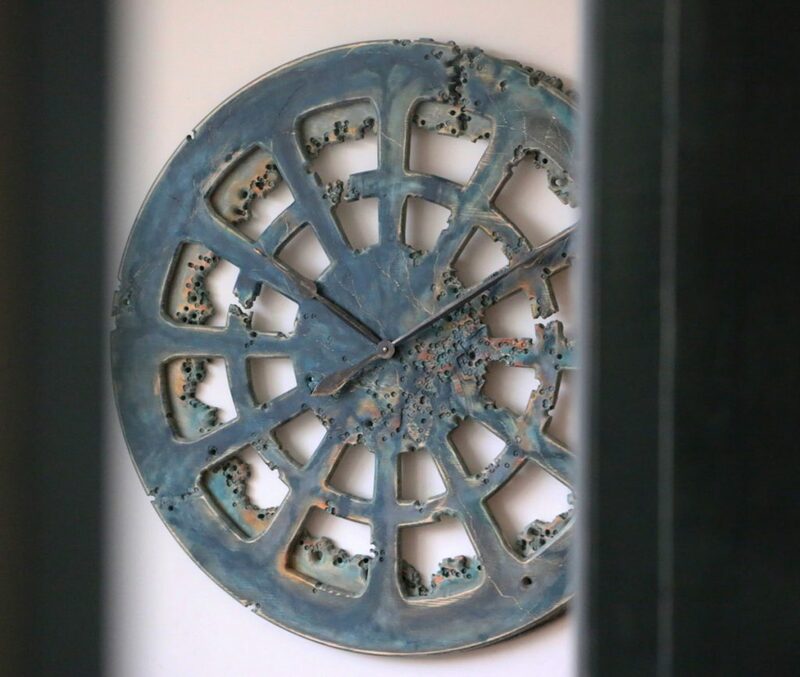 This is why whenever you order a large designer wall clock from us you can rest assured that it will have its own character. It can look very similar but will never be the same. I got so much positive feedback for “Old Clipper” that I was completely overwhelmed. 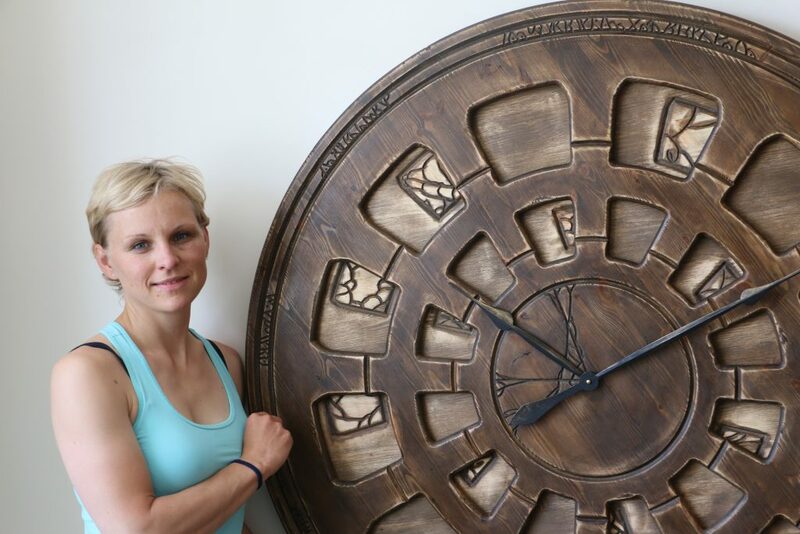 One of the customers asked If I could use the same design but on 120 cm giant wall clock instead of standard 100 cm. No two clocks can ever be the same. This is the main difference between handmade items and factory produced. I did my best and made the first member of extra large clock range – “Old Clipper XL”. I was really surprised how much bigger 120 cm clock was. With 18 kg It was so heavy I was struggling to hang it on the wall without help. Is it really the same design though?My point here is that if you compare both “Old Clipper” and “Old Clipper XL” you will notice they are different. I am not talking about the size but the clock face in each case have distinctive feature that cannot be repeated. This is what I mean by designer wall clocks. You ask for the design and we make it for you but don’t expect it to be identical! Another example I wanted to show you here is one of the most sensational timepieces from our collection. I think I can safely say it belongs to the very unique family of designer wall clocks. I called it “Deep Blue” because it was inspired by the rich colours of coral reef in Pacific ocean. Can you imagine me trying to make sure that the next order of this designer clock is identical? Of course I can’t make it the same and this is what makes our remarkable timepieces so special. Those of you that are looking for uniqueness will get it here for sure. 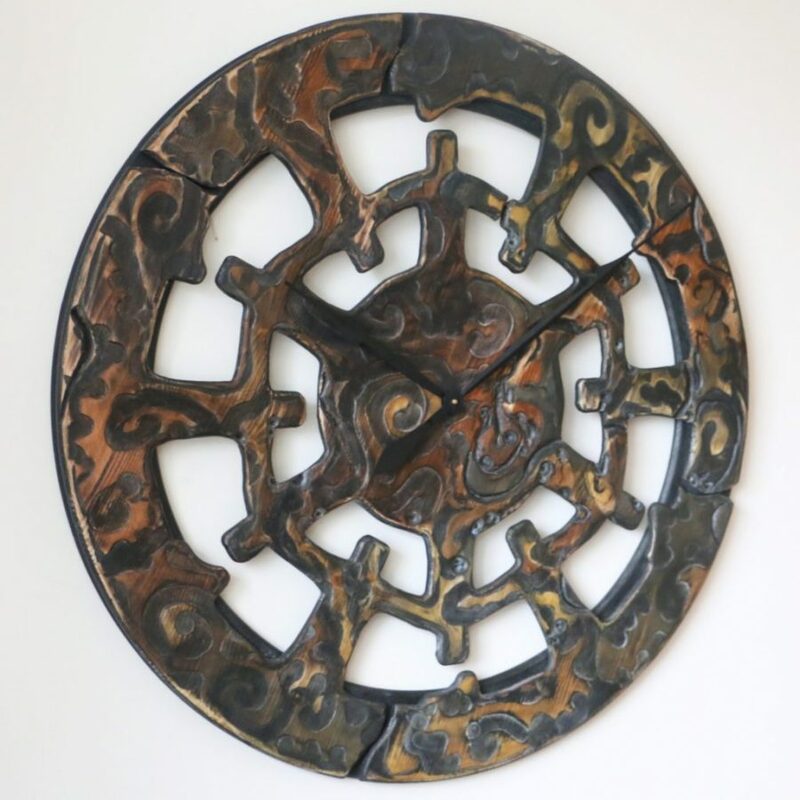 The true art has no boundaries and I will never run out of ideas to make more unique designer wall clocks for you. One day the inspiration can come during the long walks in the Peak District. The other day I may be browsing the Internet or watching TV to spot something that draws my attention. 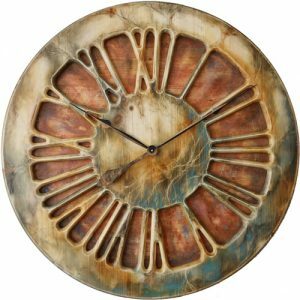 The next member I added to designer wall clocks group is called “Maori Moana”. The inspiration comes from watching this wonderful movie with my daughter. I am sure you can see the spiritually united dancing tribe here? This wonderful timepiece got a lot of attention on our Facebook Page so please join the community and post your comments. We are relatively new online business but already have many thousands of followers. I hope you can see the point I am making. 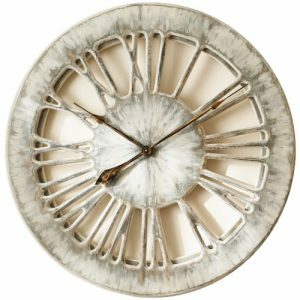 If you are looking for the most exceptional designer wall clocks you should also remember that the quality has its price. You can’t expect to “wow” your guests by buying template solutions available for everyone. If you really want to stand out from the crowd please get in touch and we will be happy to help. Although our wall clocks are more expensive than average, we are here to customise and design them for you. The thing we love the most about the feedback or special requests from our customers is that it makes Peak Art collection so unique. Many of our timepieces are inspired by your individual requirements so please keep them coming.